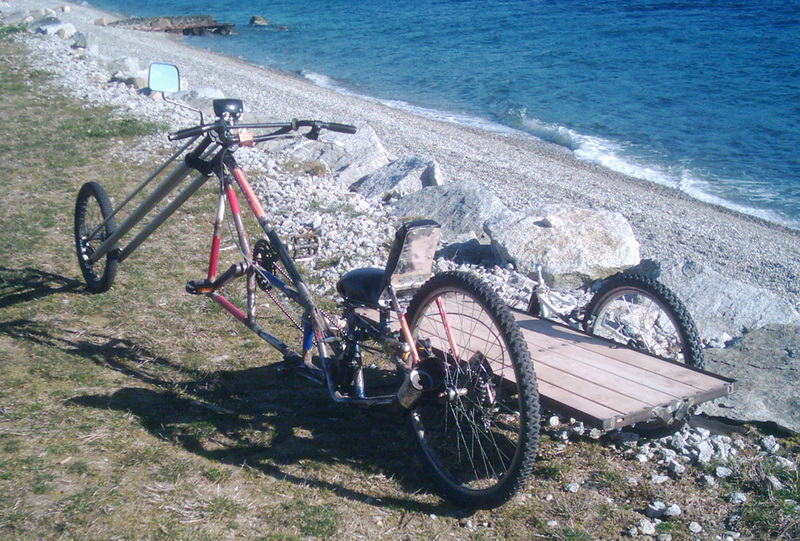 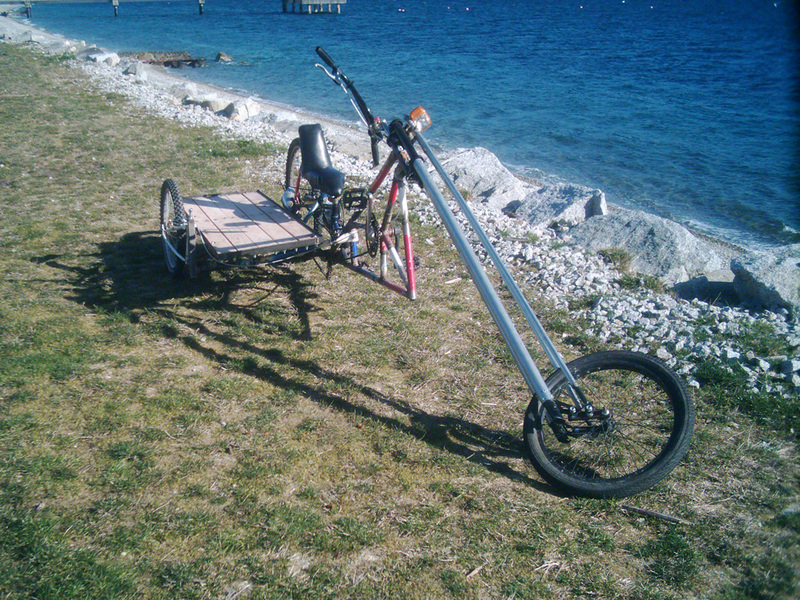 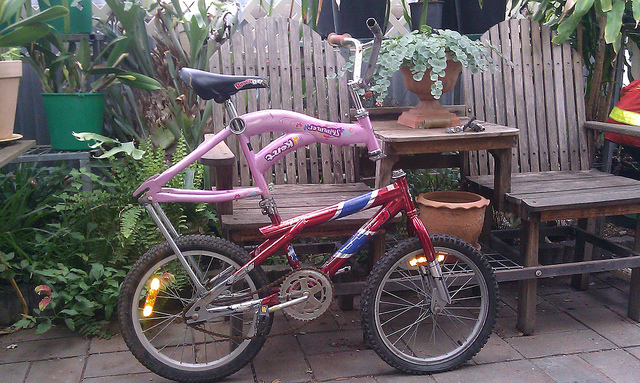 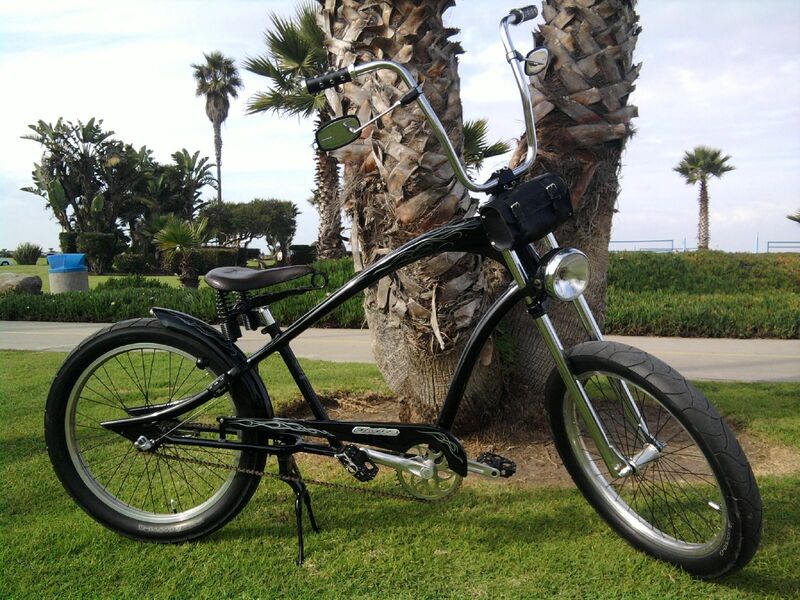 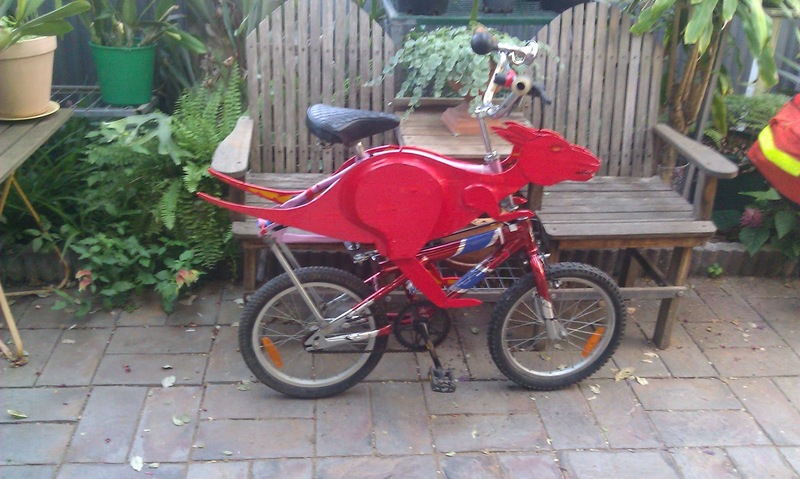 “Here’s a pic of my modded Electra Ghostrider for your gallery. 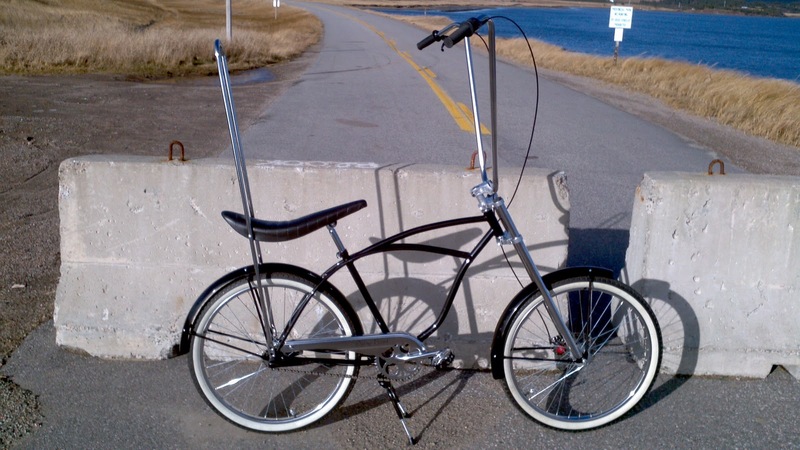 It has a NOS Bendix suicide shifter, restored pre-war Mesinger long-spring saddle, double kickstand, Harley Davidson fork bag, Puch moped headlight converted to LED, custom Electra Stream Ride ape hangars, Electra mirrors, Nirve grips and BMX pedals. 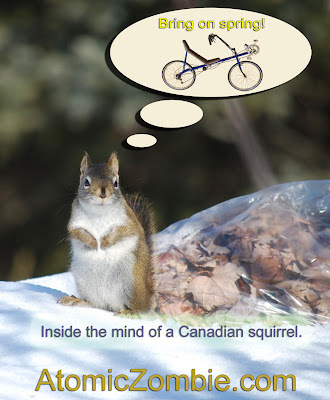 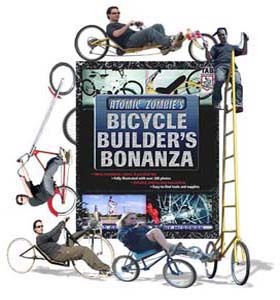 Bike builders rock the world. 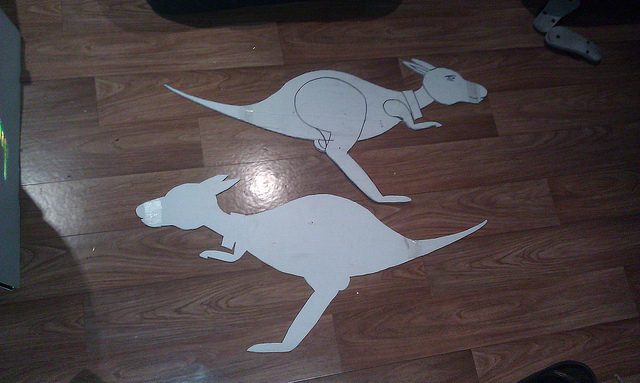 “The top frame just lent itself to a Kangaroo shape, so we made these coreflute cut-outs to adorn the sides of the frame with. 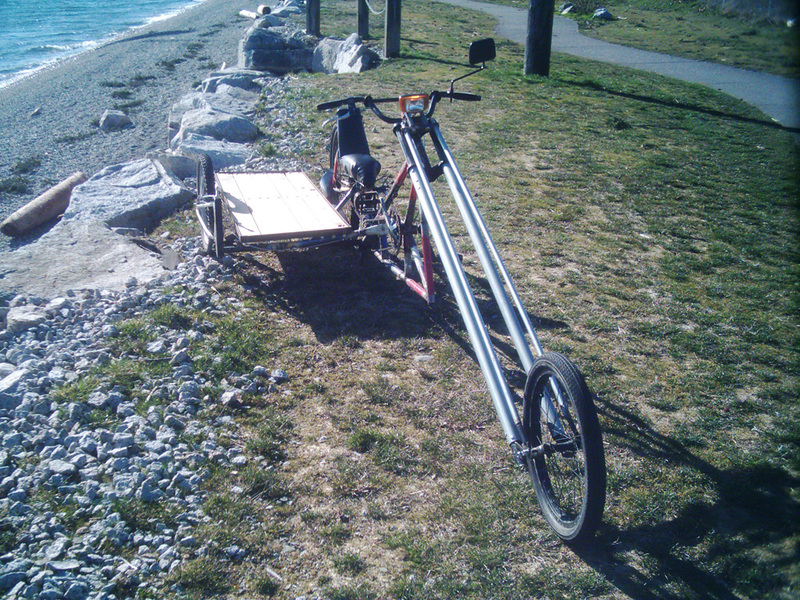 Build your own recumbents, choppers, tandems, trikes, scooters, ebikes and more.